Twelver Shīʿī ḥadīth collection compiled by Muhammad ibn Ya‘qūb al-Kulaynī. It is divided into three sections: Usūl al-Kāfī, which is concerned with epistemology, theology, history, ethics, supplication, and the Qurʾān, Furūʿ al-Kāfī, which is concerned with practical and legal issues, and Rawdat (or Rauda) al-Kāfī, which includes miscellaneous traditions, many of which are lengthy letters and speeches transmitted from the Imāms. In total, al-Kāfī comprises 16,199 narrations. Usūl(fundamentals) al-Kāfī Usūl al-Kāfī: The first eight books of al-Kāfī are commonly referred to as Uṣūl al-kāfī. The first type-set edition of the al-Kāfī, which was published in eight volumes, placed Usūl al-kāfī in the first two volumes. Generally speaking, Usūl al-kāfī contains traditions that deal with epistemology, theology, history, ethics, supplication, and the Qurʾān. Usul al kafi is a book in which all the basic ingredients of twelver shii theory may be found. Furū al-Kāfī Furū al-Kāfī: Books 9 through 34 are referred to as Furūʿ al-kāfī and are found in volumes three through seven of the first type-set edition. Furūʿ al-kāfī contains traditions that deal predominantly with practical and legal issues. Rawdat al-Kāfī Rawdat al-Kāfī: The final book stands alone as Rawḍah al-kāfī, which is found in volume eight. 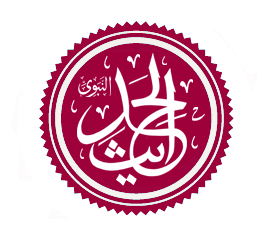 Rawḍah al-kāfī contains nearly 600 miscellaneous traditions, many of which are lengthy letters and speeches, not arranged in any particular order. Book of God (the Qur'an), accept it. And whatever contradicts it, reject it"
"You said that you would love to have a sufficient book (kitāb kāfin) containing enough of all the religious sciences to suffice the student; to serve as a reference for the disciple; from which those who seek knowledge of the religion and want to act on it can draw authentic traditions from the Truthful [imams]—may God’s peace be upon them—and a living example upon which to act, by which our duty to God—almighty is he and sublime—and to the commands of his Prophet—may God’s mercy be on him and his progeny—is fulfilled...God—to whom belongs all praise—has facilitated the compilation of what you requested. I hope it is as you desired." "Do you think it is enough [kafi] for our religious life to have its laws summed up in al-Kāfī and then placed upon a shelf?"